Simon Salm has forged himself a position in the front ranks of Queensland’s leading real estate Sales Executives with a formidable reputation and an impressive track record of sales and achievement spanning 30 years in Bayside Brisbane. Simon is consistently ranked amongst the top agents in RE/MAX Australia and New Zealand and top 25 agents Internationally. 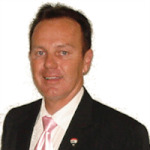 More recently at the RE/MAX 2015 awards Simon and his team received Top 5 Sales Teams in Australia. Because Simon puts his heart and soul into his business and genuinely cares about his clients, the majority of his business is from repeat referrals. get a feel for your home and write the accompanying editorial to appear on the internet. She will also take down any special inspection instructions you may have and have a chat with you about your property. Michelle will highlight the best features of your property and ensure that it is advertised to the highest standard and looks the best it can possibly look. If you are not able to be home Michelle can take your instructions via telephone. You can have as much or a as little input as you like when it comes to the marketing of your home. We value and respect your opinions and any particular ideas you may have, however if you are just happy to have minimum input and for us to get on with it, that is totally fine with us too. Weekly open houses for 30 minutes each Saturday - you will be left with a thank you card and a complimentary bag of sweets to show our appreciation. Anytime you would like to have a chat about the marketing of your property or the progress of your sale, feel free to call Simon or anyone of Simon’s Team for a chat. We realise that selling a home can sometimes be stressful and we would like you to know that we are behind your goal of a successful sale 100% . You have our full support and are welcome to contact us anytime. After having no luck selling our home we decided to switch agents. We choose Simon Salm and he literally sold our home within 2 days of putting it on the market. His dynamic ideas, unique marketing skills and wealth of experience in selling homes is unparalleled . We have been so happy with the personalised service and care that Simon and his team have demonstrated through this entire experience. It has restored our faith in the real estate industry, I just wish we could bring him up here to help us buy our next home! We have been clients of Simon's since we bought Kerby Place from him 4 years ago, so when it came to selling it, the choice was easy. We turned to an agent that we could trust and Simon didn't let us down. His commitment and effort in helping us sell was second to none. It's no wonder he has lasted in the real estate industry for 30 years! If you want a hassle free selling experience then just make one call to Simon & his team you will not regret it! We appreciated the efforts of Simon Salm and Team in selling our home. Starting with advertising it - the photos were really great! They understood our situation with hubby away and me here to take care of everything - the house sold with the buyer to take care of the pool safety certificate. We were updated with the progress at all times. We felt we were looked after really well and the price achieved was great. Not only a good and professional team, but really nice people as well. We felt they had our interest at heart and we will recommend them to friends. We know who to call if we return to Brisbane.